Iran’s President Hassan Rouhani called on Middle East states on Thursday to 'drive back Zionism,' in an Army Day tirade against the Islamic republic’s arch-foe Israel. Iranian President Hassan Rouhani began a historic three-day visit to Iraq Monday to strengthen the nations' relationship amid sanctions and isolation efforts by the United States. Iran’s Supreme Leader Ayatollah Ali Khamenei advised the government last July not to rely on European efforts to protect Tehran against U.S. sanctions, months after Washington withdrew from a nuclear deal with Iran and reimposed penalties. Moscow, Ankara and Tehran see the planned US withdrawal from Syria as a positive step, Russian President Vladimir Putin said after a summit with his Turkish and Iranian counterparts on Thursday. Iranian President Hassan Rouhani on Thursday blamed the suicide bombing of a bus carrying Revolutionary Guards troops that killed 27 in southeastern Iran on Israel and the United States, vowing revenge against Jaish al-Adl, the 'mercenary group' that committed it. The United States on Monday joined the European Union in denouncing remarks by Iranian President Hassan Rouhani, who, on Saturday, called Israel a 'cancerous tumor' established by Western countries to advance their interests in the Middle East. Iran’s President Hassan Rouhani on Saturday called Israel a 'cancerous tumor' established by Western countries to advance their interests in the Middle East. Iran greeted the re-imposition of U.S. sanctions on Monday with air defense drills and an acknowledgement from President Hassan Rouhani the nation faces a 'war situation,' raising Mideast tensions as America's maximalist approach to the Islamic Republic takes hold. Iranian infrastructure and strategic networks have come under attack in the last few days by a computer virus similar to Stuxnet but 'more violent, more advanced and more sophisticated,' and Israeli officials are refusing to discuss what role, if any, they may have had in the operation, an Israeli TV report said Wednesday. Turkish President Tayyip Erdogan will visit Iran on Sept 7, his office said on Monday, on a trip expected to include a three-way summit with Russian and Iranian leaders. Iran unveiled a new fighter jet on Tuesday, state media reported, as tensions rise between Tehran and regional rivals over conflicts in the Middle East. Iran's Foreign Minister Mohammad Javad Zarif said Saturday there would be no meeting with the United States in the near future following Washington's reimposition of sanctions. 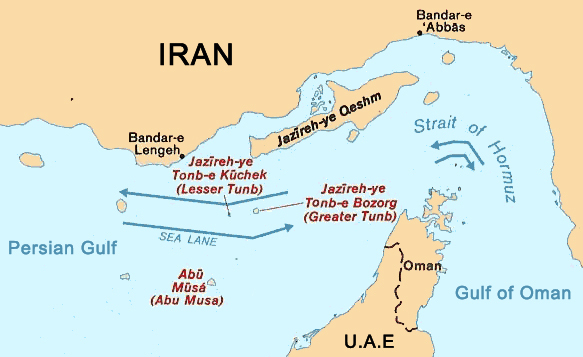 Iran’s Islamic Revolutionary Guard is expected to put 100 gun boats in the Persian Gulf sometime in the next 48 hours to practice 'swarm' tactics simulating actions which could potentially shut down the Strait of Hormuz, where roughly 10 percent of the world’s oil passes through each year, two U.S. officials said Wednesday. A top Iranian general said his forces were ready if US President Donald Trump followed through on his warning that Iran would 'suffer consequences' if Tehran threatened the United States. Iranian President Hassan Rouhani on Sunday cautioned U.S. President Donald Trump about pursuing hostile policies against Tehran, saying 'war with Iran is the mother of all wars', but did not rule out peace between the two countries.